Island destinations in the Philippines dominated Condé Nast Traveler's Top 20 Best Islands in the World outside the U.S. for 2016. Boracay was named as the Best Island in the World, followed by Palawan. The island of Cebu landed on the 5th spot. 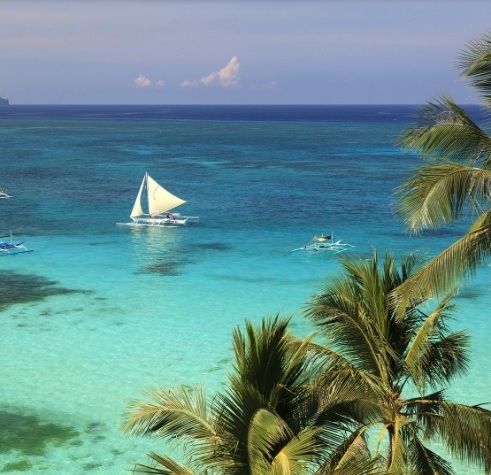 Condé Nast captioned a breathtaking photo of Boracay with a description which says the tiny island has "gentle coastlines and transporting sunsets". Boracay's splendid nightlife scene was also seen as a big factor in propelling the island to the top of the list. The aptly named White Beach is Boracay’s main draw, with powdery white sand and shallow azure water ideal for swimming and snorkeling. Palawan, which used to be #1 in 2014 and 2015 among travelers, slipped to the second spot. The magazine noted the inclusion of the Puerto Princesa Subterranean River among the new seven natural wonders of the world, as the main reason why Palawan is still highly regarded as one of the best islands in the world. Meanwhile, Cebu at number 5, is described as "more personal" than Phuket of Thailand. The travel magazine said that Cebu's beaches, restaurants, and shopping centers make it an ideal island destination. The best islands in the world were determined by more than 300,000 travelers who participated in Condé Nast's 29th Annual Readers' Choice Awards Survey. Condé Nast is a leading mass media company based in New York, USA with more than 164 million consumers across 20 print and digital media brands. Its lifestyle travel magazine (Traveler) has a total circulation of more than 813K. Aside from Condé Nast Traveler, the company owns prestigious media brands that include Glamour, GQ, The New Yorker, Vanity Fair, Vogue, and Golf Digest.